Hello! Today I have a card to share that revisits the December MFT Stamps release with some other products. I love mixing products from different releases. It's so fun to see how different things go together. 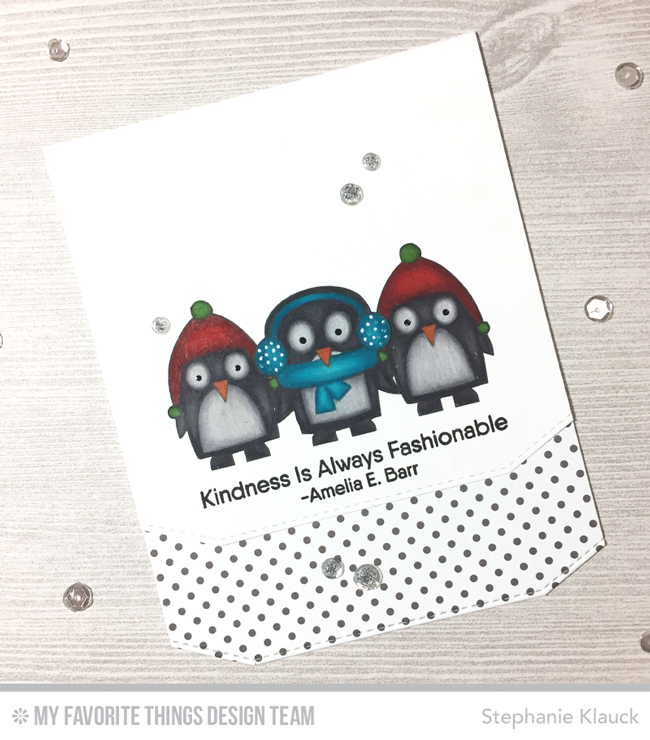 For my card today, I used the Stitched Basic Edges 2 dies and the Kind Words stamp set from the December release and paired them with the Chill Wishes stamp set to create a simple but fun card. I used one of the dies from the Stitched Basic Edges 2 Die-namics and cut a fun border on the front of my card base. I then added a piece of grey polka dot paper to the inside of the card base and then I added the fun edge detail to that as well. I stamped the penguins on kraft paper and coloured them in with Prismacolor pencils and then I cut them out by hand before adhering them to the card. 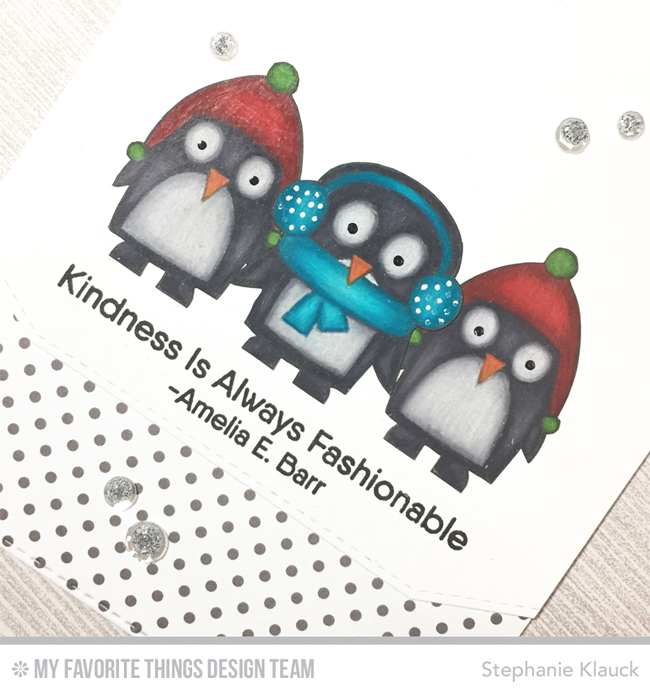 I stamped the sentiment from the Kind Words stamp set right underneath the penguins with black ink and then I added some sequins to finish the card. You can see more cards created by the design team on the MFT blog here. Thanks for stopping by! So cute.. I love these little penguins. Sweet. Love how "different" your coloured images look when done on kraft! That trio of penguins brings a smile to my face - they're adorable. Stephanie--This card is Hysterical! I love the way that you colored the Penguins. I never would have thought to put this together the way you did! It's just perfect!